Our first responsive eCommerce Joomla template - JA Bookshop featuring the leading Joomla shopping cart component Mijoshop from Miwisoft (the well-known Joomla software development, formerly known as Mijosoft) was way back in December 2013, resulting from our open customer polls - where we asked our customers to vote on what kind of templates you would like to have in the coming months. Four months and more than a hundred thousands downloads later, we have come to question ourselves that: "Why wouldn't we collaborate with Miwisoft earlier?". In this article, we look back along the way and round up what we have done so far: Three responsive JoomlArt's Joomla templates with the powerful Joomla shopping cart component Mijoshop. January started off with the release of JA Bookshop a responsive Joomla template for online bookstores or any type of eCommerce site built on MijoShop. For the first time, JoomlArt featured Mijoshop component to boost up online bookstores with their powerful shopping cart solution. JA Bookshop is built on the latest version of T3 Framework integrated with Bootstrap 3 at core, fully responsive, supports RTL language layout, and brings in an pleasing blogging experience with EasyBlog. 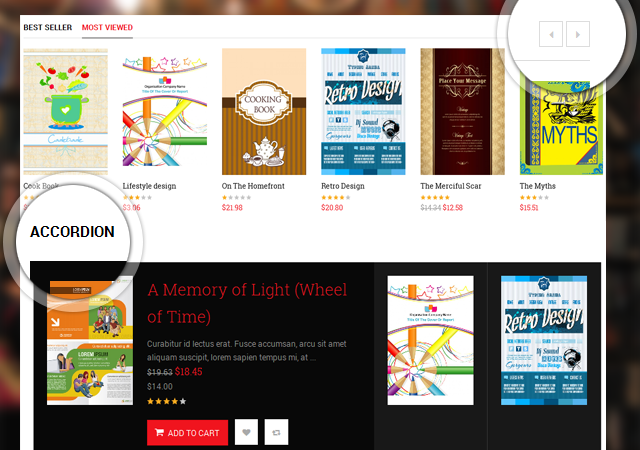 MijoShop fans are thrilled with JA Bookshop as this template itself includes two extra modules styled for MijoShop component by JoomlArt team that just blow their mind, including JA MijoShop Product Accordion and JA MijoShop Product Slider modules. See it for yourself! And never regret! This is our biggest hit so far. 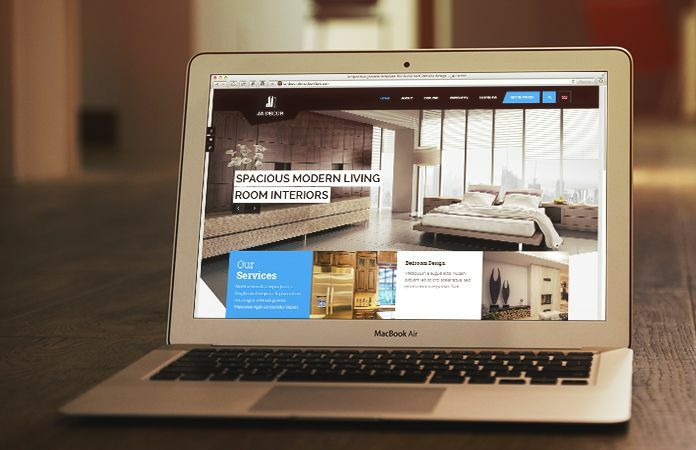 The famous, best and FREE responsive Joomla template Purity III hit the spotlight early in February 2014. It is seamlessly integrated with Mijoshop, and is also our promise to bring the Joomla fans the best of both eCommerce solution and versatile template. 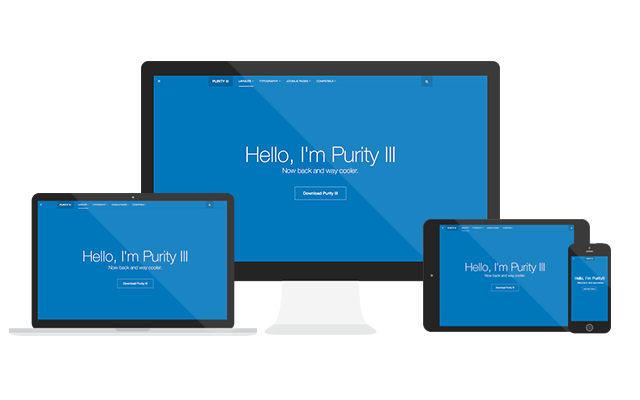 Purity III is a home of robust T3 Framework with Bootstrap 3 heart, mobile ready, and easy to customize with ThemeMagic and the Layout Configuration. Purity III was soon recognized by the community with its fully responsive layouts, and stunning typography pages including pricing tables, team, portfolio pages etc. This free Joomla template is suitable for almost every project that you may think of: from a personal portfolio, to a business blog, from a products showcase, to a corporate site, etc. Have you discovered the infinite possibilities of Purity III?! Two months after Purity III, JoomlArt continued delivering happiness with the responsive Joomla template - JA Decor dedicated for decor, interior design and other types of eCommerce site built on Mijoshop. This template keeps harmonizing dynamic block design with the powerful shopping cart component Mijoshop to bring a unique commerce experience to Joomla fans. With 5 color styles and 10 handy bonus pages integrated, JA Decor template is surely the smart choice for online Joomla shop owners or other eCommerce site builders. And it's here for you to explore. That wraps up the not so long way yet interesting in the partnership between JoomlArt and Miwisoft. We, together, hope that we can become the best duo of your choice, a duo of beautiful Joomla template featuring powerful shopping cart component. Have you tried our specialties yet?! Please let us know in the comment section!